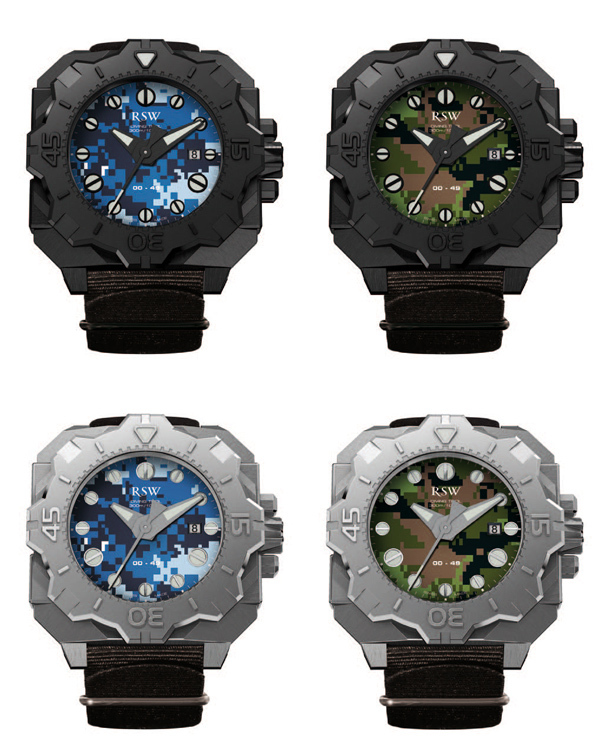 What could be more convenient to create a limited edition of our Diving Tool diver family integrating two « camouflage » dials limited to 49 units with an assorted nato bracelet offered in a special box set including a Swiss knife and an extra changeable rubber bracelet. It was in the year 2000 that the Canadian military devised the first computerassisted digital camouflage, camouflage uses the synthesis of satellite images. This is the procedure that was used by RSW to create these 2 dials. RSW Diving Tool line enters the small circles of exclusive divingwatches. The diver’s watch remains in its robustness and reliability the sports watch “ par excellence ”. Diving Tool with its strong and very masculine contemporary case fully marries this saying. The unidirectional rotating bezel is with graduated scale measuring the duration of immersion. Water resistant to 300 meters with a Screw down crown, the “ Camo ” Diving Tool is available in a 3 hands and date execution for perfect readability under extreme water conditions. 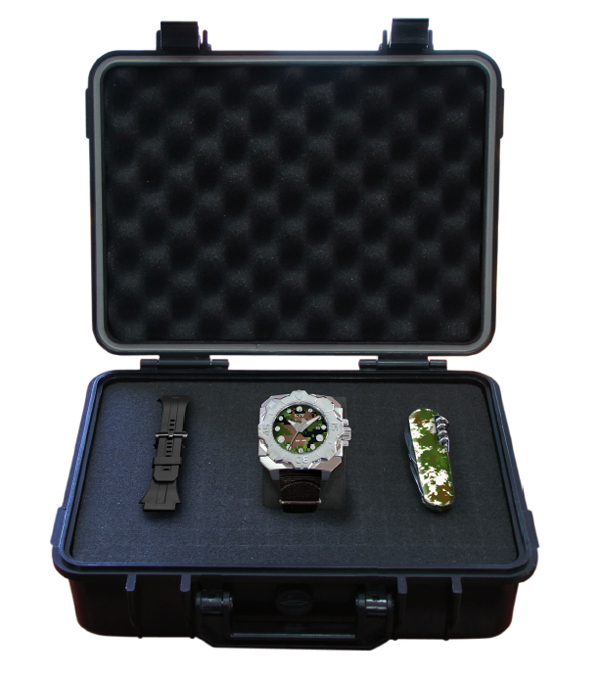 The “ Camo ” Diving Tool line is presented in solid stainless steel and in black PVD treatment in limited series.